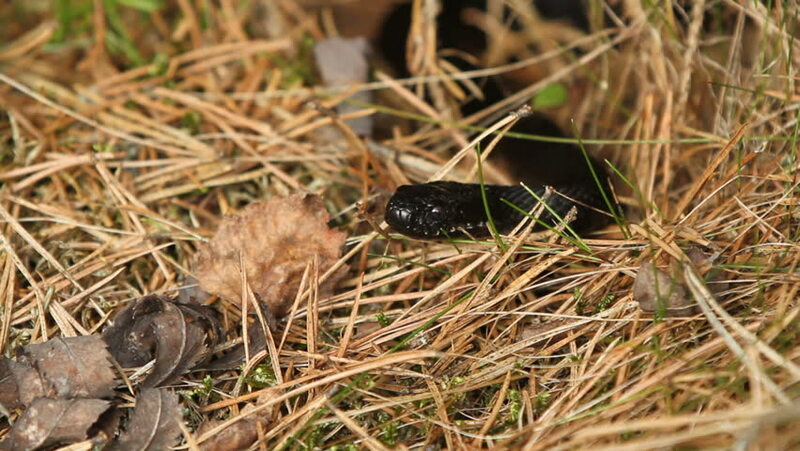 A black Common European Viper (or Adder) - Vipera berus in Sweden in the spring, slowly retreating backwards. hd00:20Farmer is cutting wheat. Farmer is reaping wheat manually with a scythe in the traditional rural way.